1. 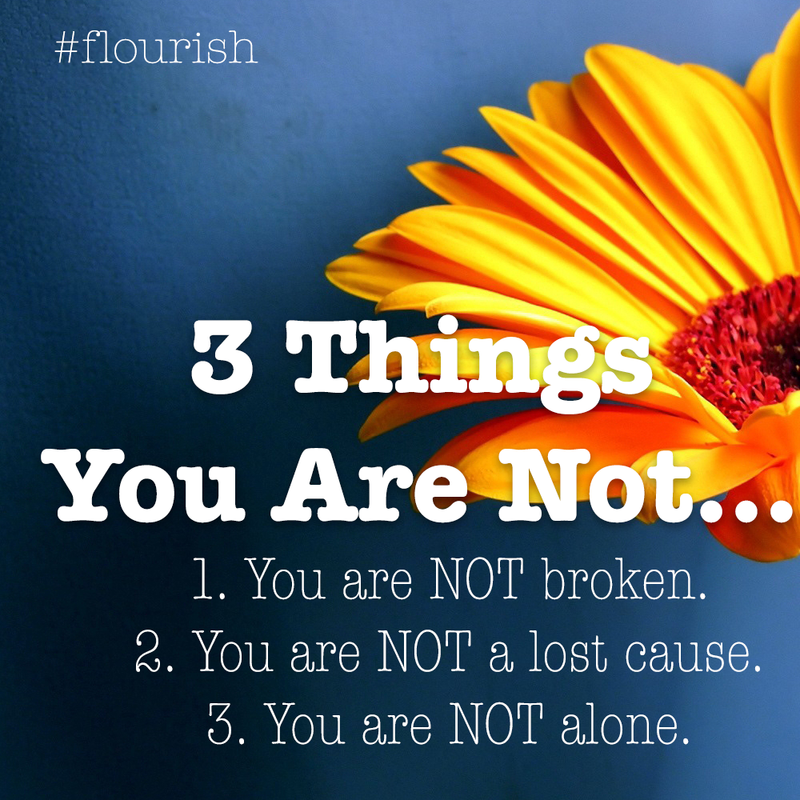 YOU ARE NOT BROKEN. You’re actually incredibly resilient and powerful. You are beautiful and skillful at being who you are. You are a HUGE contribution to many people, and you owe NOTHING to them for this, nor do THEY owe YOU anything. No flower ever looks despairingly down to their leaves and thinks: WHAT A WASTE OF SPACE I HAVE BECOME. Perhaps your best tool is to surround yourself with the flowers of your world, so they can mirror your goodness, and your WHOLENESS, back to you. 2. YOU ARE NOT A LOST CAUSE. You are a work in progress, no MORE so or LESS so than I am, than your parents are/were, than your kids are, etc. And, actually, if I were to build on the first point here, you are ACTUALLY a massively impressive masterpiece in progress. As such, you will never know if the steps you take are the RIGHT ones. There will never be such a certain thing as certainty. And so, you can’t say, definitively, that you are unlovable, or worthless, or unforgivable. An artist never really knows if the brush stoke or line is going to be more impactful than the erasure mark. We JUMP. And we are ALWAYS doing our BEST- at every moment.